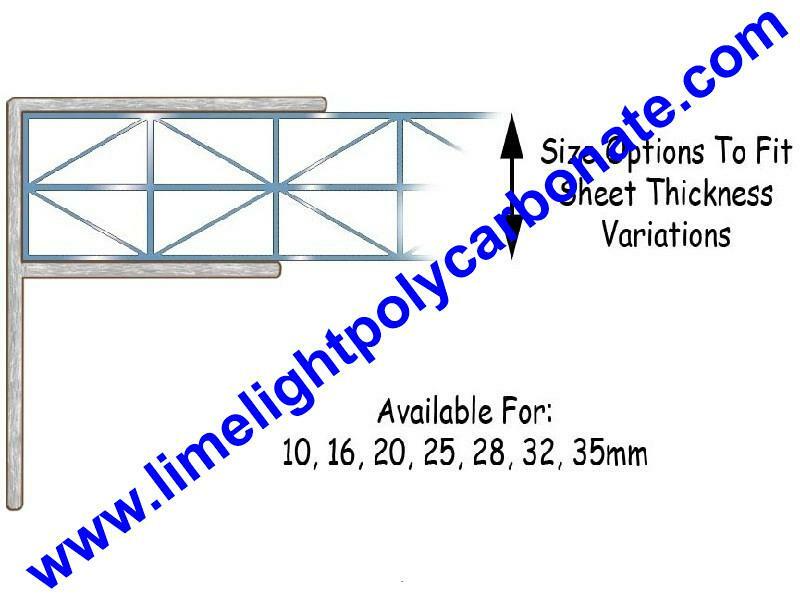 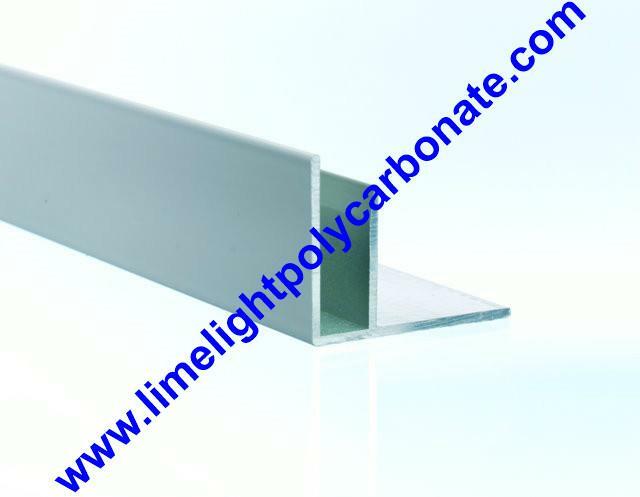 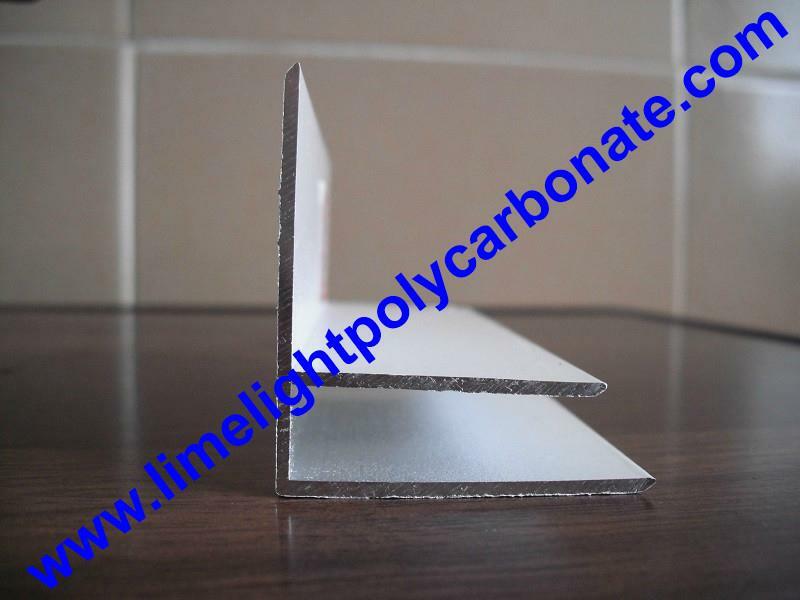 This kind of aluminium F profile is special designed for sealing polycarbonate sheet edge, it can covers polycarbonate hollow sheet edge to prevent dust, water and bug get access to the hollow space, it can postpone the life of polycarbonate hollow sheet, and giving a rigid and neat finish to the cut sheet edge. 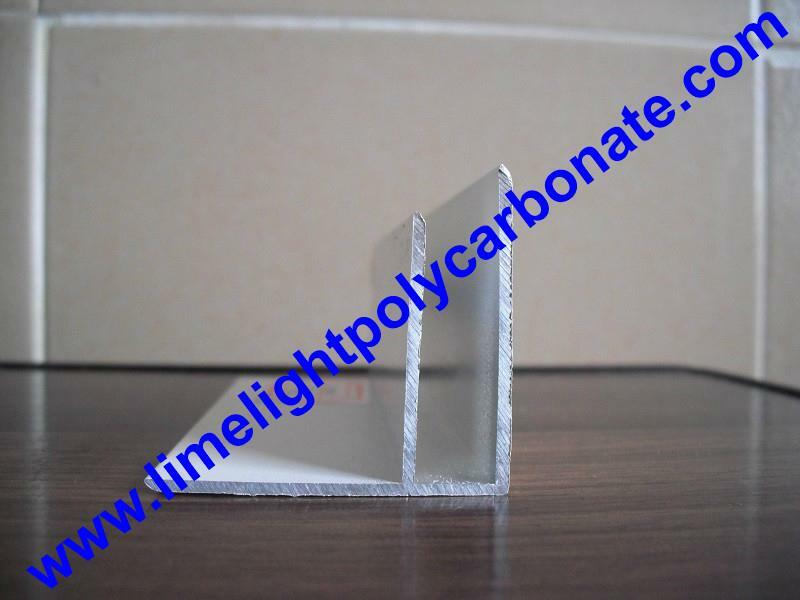 It is used at the edge of polycarbonate roofing sheet, where the sheet is being fixed to side of building, rafter or other substrate, etc. 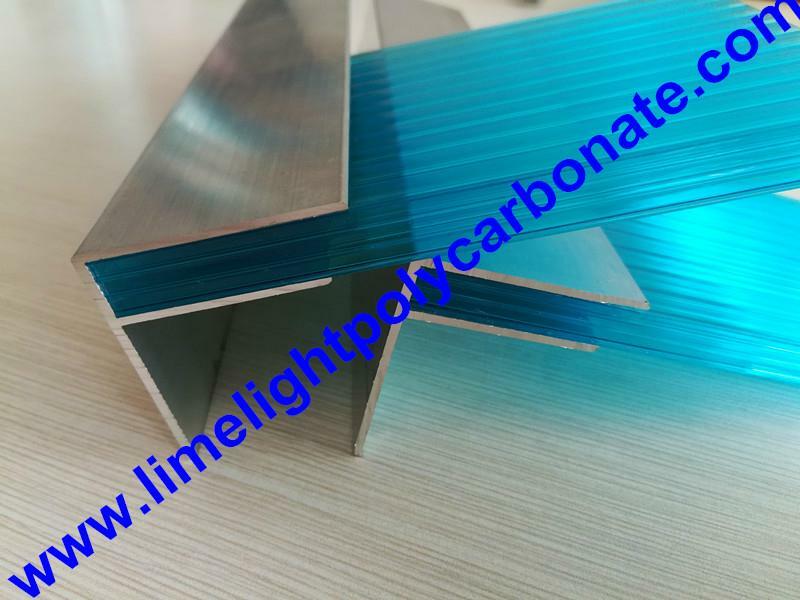 Also, the anodised treatment on the surface of the profile can prevent rust in moisture atmosphere, it can last more than 10 years. 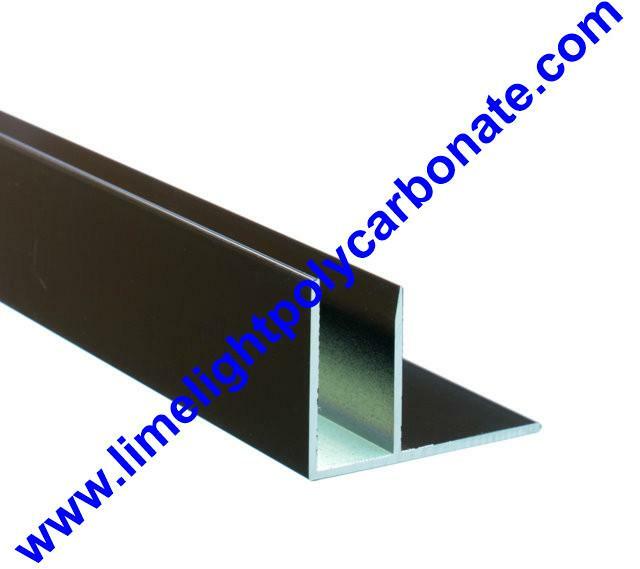 Kindly note that if you match aluminium foil tape and natural silicone sealant, the sealing effect will more than your image.